Bruce Scott wants an immediate speed reduction made at the Eight Mile. WHAT is it going to take for someone to stop passing the buck and take action? 'We're not going to back down until the Eight Mile intersection is fixed' is the vow from Warwick and District Community Road Safety group president Graham Buchner. "The only way to fix the problem is with an overpass or roundabout," he said. "No words can describe how it makes me feel that two more lives have been lost at this intersection. "It's disappointing and it saddens me greatly." Mr Buchner said he agreed with Federal Member for Maranoa Bruce Scott and said we need a solution for the interim. "While I know we won't get a proper fix for a while, there needs to be some measures put in place now," Mr Buchner said. "Whether its bigger stop signs or rumble strips, something needs to be done." Mr Buchner said he and the members of the committee will not sit back and wait for more lives to be taken. "We've been rallying for years and we are going to keep heavy pressure on this time," he said. "We can only hope common sense will prevail. "I'd like to think they would go out and reduce the speed limit to 60 immediately." The Daily News contacted the Minister for Transport and Main Roads, Anthony Albanese, to see if he would look into making some urgent changes to the intersection, however a spokeswoman said while police are still investigating the accident, they won't take action until the outcomes are released. The Daily News understands the Warwick Police are still waiting for Transport and Main Roads to provide them footage from the CCTV camera at the Eight Mile before they can finalise investigations. The spokeswoman said they would welcome any funding Mr Scott could secure from his federal counterparts to upgrade the intersection. "We are currently conducting a state-wide review of speed limits and all roads will be reviewed," the spokeswoman said. "The review is expected to take about six months." Local Michele Slater said while it seems everyone is shocked at the tragic loss again at the Eight Mile, not all motorists are learning from other's mistakes. "We were travelling back to Warwick yesterday afternoon," she said. "We were queued at the stop sign. The first car stopped, the car second in line went straight through. "We stopped when it was our turn but the car behind us went straight through." The Daily News attempted to seek comment from Prime Minister Kevin Rudd who had a spokesman reply. 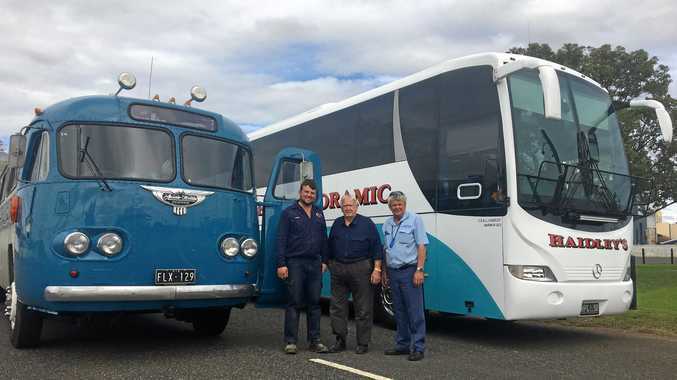 "The federal Labor government is already making an unprecedented investment in Queensland's road, rail and public transport infrastructure," he said. "While recognising the legitimate concerns of the local community, funding for additional projects will of course be considered on their merits. While the response from Mr Rudd's office did not answer any questions directly posed by the Daily News it was better than no response which came from Opposition leader Tony Abbott's office. While Transport and Main Roads were not able to commit to making a change at the Eight Mile, they were able to provide the Daily News with some crash statistics from the Eight Mile. Recorded between 2001-2013 the statistics include accidents within a 1km radius of the intersection. The information revealed that eight people have suffered minor injuries and nine people have required medical treatment. Alarmingly within the past decade 11 people have been hospitalised after an accident and 10 people have tragically been killed. 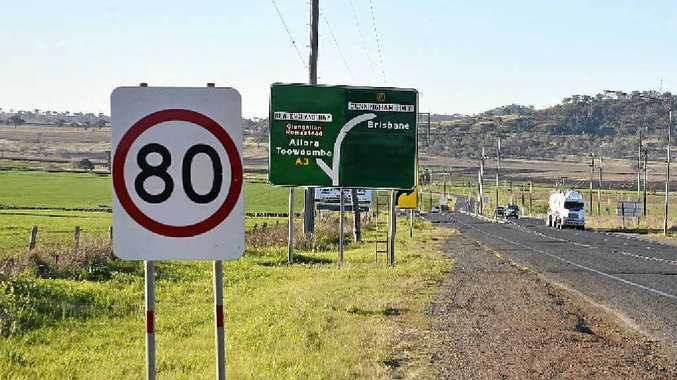 A spokesman for the Minister of Road Safety Sharon Bird said Southern Downs Regional Council received $2,300,566 in Roads to Recovery funding from 2005-06 to 2008-09; and $5,680,237 in Roads to Recovery funding is allocated from 2009-10 to 2013-14. Roundabout the simple solution to fix Eight Mile?